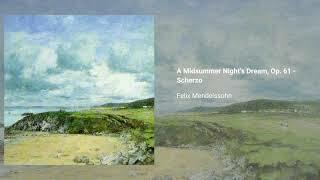 At different times, Mendelssohn wrote music for Shakespeare's A Midsummer Night's Dream: in 1826 he wrote a concert overture (Op. 21) and in 1842 the incidental music (Op. 61), to which he incorporated the overture. 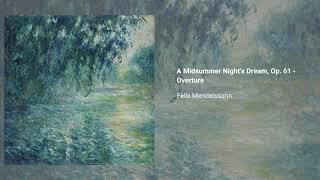 The overture, while a romantic piece overall, incorporates classical elements (both in form and harmonic language), as well as a surprising number of 'effects'. 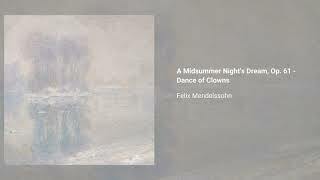 The incidental music was written to a commision from King Frederick William IV of Prussia, after hearing a presentation of Antigone to Mendelssohn's incidental music. 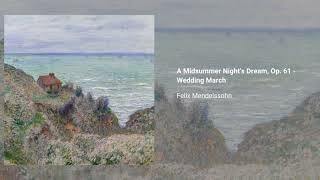 The Wedding March acts as the intermezzo between acts IV and V, and it has become one of the most ubiquitous pieces of music ever written. The purely instrumental movements are often played as a unified suite or as independent pieces, although this approach never had Mendelssohn's imprimatur. The Overture is scored for two flutes, two oboes, two clarinets, two bassoons, two horns, two trumpets, ophicleide, timpani and strings. The incidental music adds a third trumpet, three trombones, triangle and cymbals to this scoring. 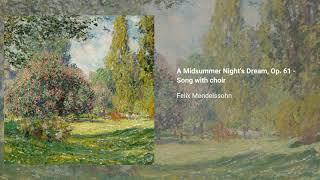 Parts of the score are used, re-orchestrated by Erich Wolfgang Korngold, in Max Reinhardt's 1935 movie A Midsummer Night's Dream.